The Basque people live in a place they call the Basque Country. 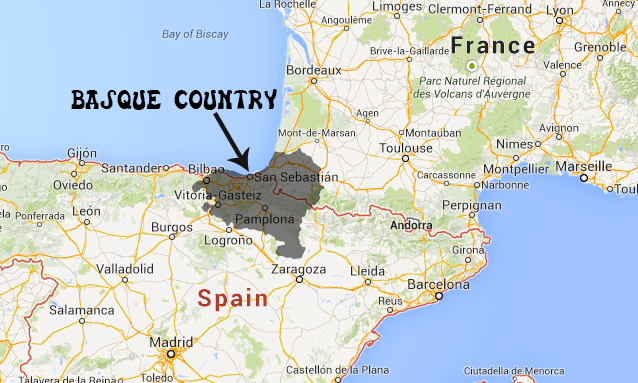 This “country”, while not actually a politically recognized region is quite important to the Basques. This region spans four provinces in Spain (2 autonomous regions), and 3 provinces in France. However, in general, inhabitants do not consider themselves to be Spanish or French, but rather Basque people living in Basque Country (see the map below). When speaking with friends, they will often joke about “the other country to the south just before you get to Africa”. Or if you were telling them about a short trip just over the border into Southern France they will correct you and say you went to “Iparralde” (the name for the French Basque Country) instead of “France”. Three of the provinces in Spain (Gipuzkoa, Araba, and Bizkaia) join together to form one autonomous region of Spain which actually carries the name “Pais Vasco” or “Basque Country”. While this region is not historically all of Basque Country, it is certainly the region that remains the most Basque today. So you can see that even in the naming of the province, people consider themselves to be in Basque Country, not in Spain or France. 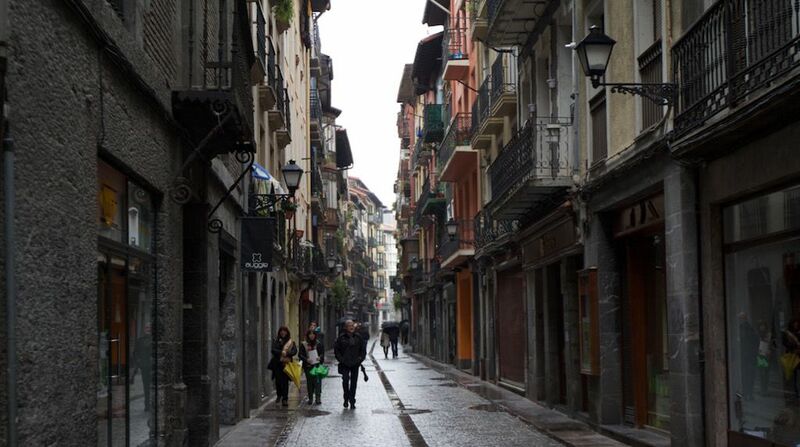 The largest cities in the Basque Country are Bilbo (Bilbao), Donostia (San Sebastian), Vitoria-Gasteiz, and Iruña (Pamplona) and approximately 3,000,000 people live in all of the Basque Country. 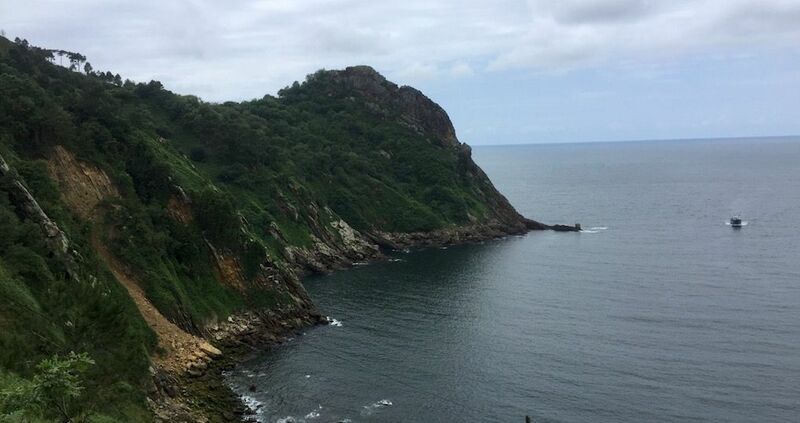 The coast of the Basque Country is very rocky and beautiful, but doesn’t lend itself well to large numbers of perfectly groomed beaches like on the Mediterranean coast. The inland of the Basque Country is very hilly and at times even mountainous. The mountains are not very tall (under 6,000 feet), but can look quite formidable at times. What are the towns like? Towns in the Basque Country are similar to towns across Europe in that they are both old, ancient, and modern at the same time. Each town or city typically has an old part that is quiet with narrow streets and is very pretty and quaint. These sections often fill up and become quite noisy during festivals or special days. Yet, most of the population lives in the areas surrounding these old sections. These newer sections are typically made up of concrete style apartment buildings. 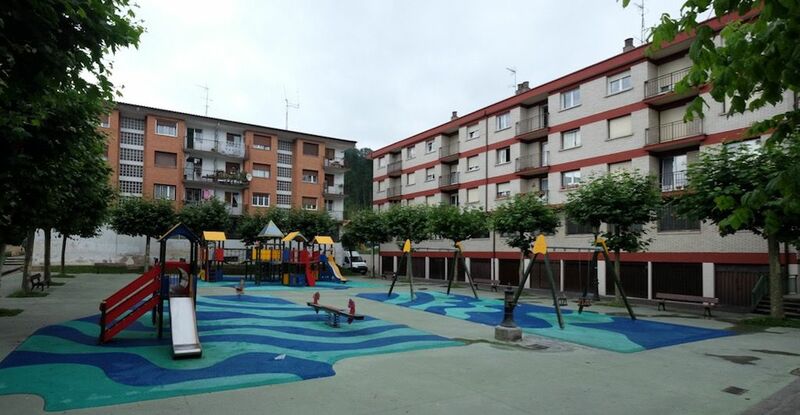 Hopefully these pictures and this post will begin to give you an idea of just how independent and proud the Basque people are. They are a beautiful culture with beautiful land and we hope that as you read these posts you will begin to love all things Basque as much as we do.